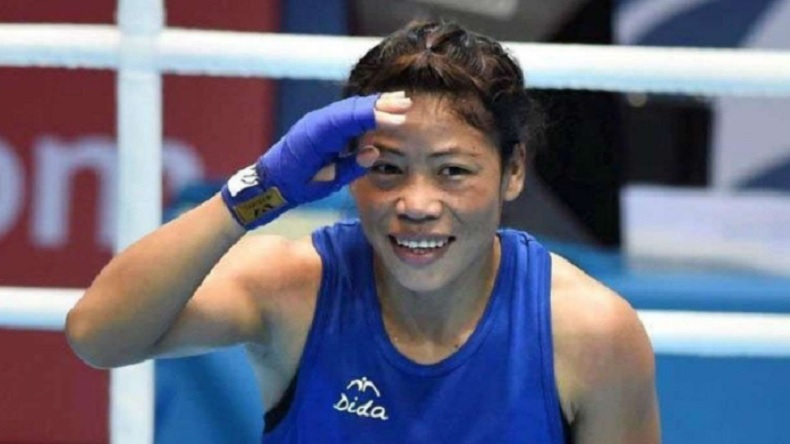 MC Mary Kom bagged gold in India Open Boxing championship on Thursday by beating Filipino Josie Gabuco 4-1 on the final day that saw an improved performance from Cuba and Uzbekistan to stop the Indian juggernaut. This was the first edition of India Open Boxing championships which has given the boxers a chance to assess their weaknesses and strengths before the Common Wealth Games scheduled to be held later this year. In the India Open boxing tournament, MC Mary Kom clinched gold by beating Filipino Josie Gabuco 4-1 on the final day that saw an improved performance from Cuba and Uzbekistan to stop the Indian juggernaut. Earlier, Pwilao Basumatary became the first among women to bag a gold in the 64 kg category. She beat Thailand’s Sudaporn Seesondee by a margin of 3-2 to claim the medal. “For me every match is important. I cannot bear to lose. When I don’t perform, I start to wonder what people will think. I can’t let that happen,” Mary Kom said after her win. Another boxer to register her name against the medal was Lovlina Borgohain who struck gold in 69 kg welterweight category by beating Pooja. Another boxer who was favourite to win a medal was Sarita Devi who lost her final bout to Finland’s Mira Potkenon and had to settle for a silver.Coming to the men’s draw, Sanjeet grabbed a gold in the 91 kg category by outclassing Sanjar Tursunov of Uzbekistan. Manish Kaushik, who is the national champion in 60 kg and had upset Asian medallist Shiva Thapa also clinched gold after his opponent Battumur Misheelt pulled out due to an injury he had sustained in an earlier match. In other matches, Satish Kumar and Dinesh Dagar won silver medals in +91 kg category and 69 kg category respectively. Devanshu Jaiswal and Saweety Boora two had to be content with a second-place finish in their respective categories. This was the inaugural edition of India Open Boxing championships which has given the boxers a chance to assess their weaknesses and strengths before the Common Wealth Games scheduled to be held later this year.